Truly, this is a great honor. After all, I’ve been doing this for eleven years, and I won’t lie: it’s nice to get a little recognition. 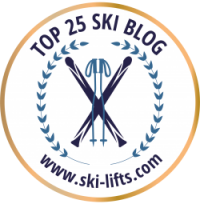 Back in 2006, I started this blog because I had no one to talk to about skiing. None of my friends skied, and my other friends just about rolled their eyes when I started in about my favorite sport. 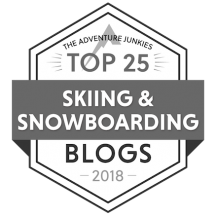 So to save my social life and my sanity — I thought I’d create a place on the web where I could go on…and on…and on (680 blog posts so far) about anything and everything ski related. Over the years, I’ve tried to cover topics that I thought would be of interest to women who share my passion. 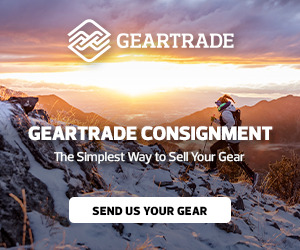 I’ve done gear and resort reviews, interviewed all sorts of ski luminaries — from Suzy Chaffee to Donna Weinbrecht and Lynsey Dyer to Elyse Saugsted and Crystal Wright, and written how-to’s on everything from surviving the White Ribbon of Death to buying used skis to taking care of your skiwear. I’ve even kept things going during the off season with pieces on fitness, travel, outdoor activities, nutrition, weather, and more. Want to know what to do when you encounter wildlife on the trail? How to work out in the heat? It’s in the blog. And yeah, there’s been a measure of feminism thrown in too, because I think women skiers should be given the same opportunities and respect as men, and not treated as beginners, ignoramuses, or pretty little ladies who are there simply to decorate the lodge. 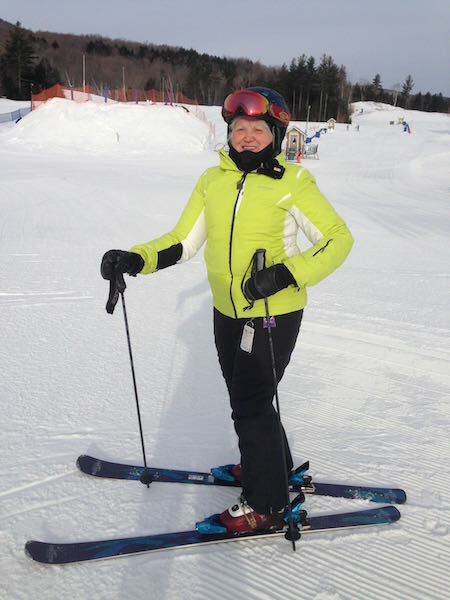 Wendy Clinch, a former Hirsch Award winner and braintrust behind The Ski Diva, knows three things: her audience; skiing; and the best ways to integrate the two [I have to interrupt here. I love that he called me a ‘braintrust’]. A solid, prolific writer, Clinch clearly devotes significant time to the original researching and reporting of each weekly column, something that sets her apart in the genre. Whether she’s profiling the women who make it to the top of today’s skiing circles or introducing us to the latest in women’s basewear, Clinch does her homework. She doesn’t just tell us that Andie’s Outdoor Undies are great for women; she tries them out and explains the intricacies. Trust me, her women readers wanted to know. Clinch should be the premier go-to writer for women who ski – and for the men who know women who ski. Truly, I’m flattered. But as in all things, there’s always room for improvement. 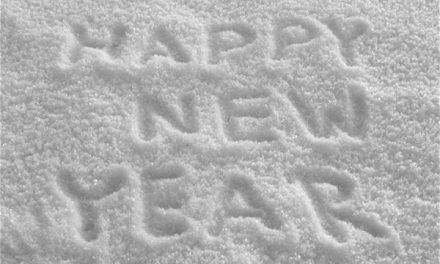 I mean, even though the blog’s been named best of the year, no one’s perfect. And after so many entries, it’s not always easy to come up with a topic to write about each week. So I thought I’d open this up to you: Is there something in particular you’d like to see covered? Do you have any suggestions about what I could do to take this blog to a higher plane? And is there anything you really like or dislike about the blog? I’d love to know. In the meantime, I’ll keep on keeping on. So thanks, NASJA, for the award. And thanks to you, too, for joining me here each week. Stay tuned. There’s lots more to come. NextA chat about fear with fear expert Mermer Blakeslee. Ski for less (Part 1). Congratulations Wendy. It’s a pleasure to see you so successful. I tell all my friends about you, especially the Ski Diva’s.